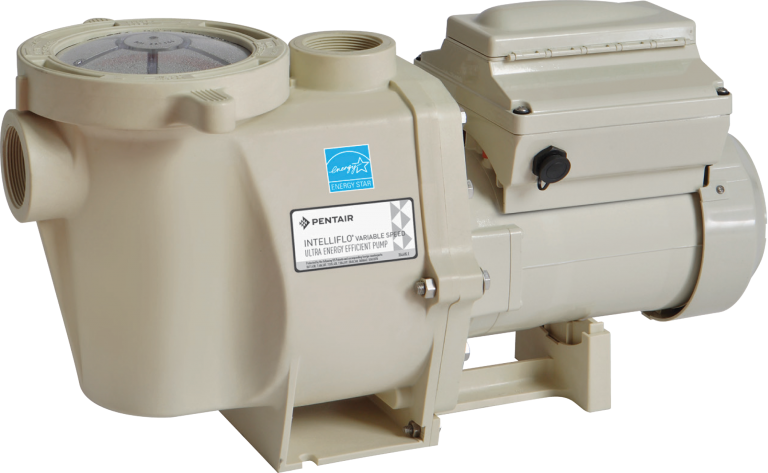 Pool-Water Products and Pentair are pleased to introduce the IntelliFlo VS pump to the Australian swimming pool and spa market. For many years, while the visual and design elements of swimming pools and spas have gone from strength to strength with negative edges, glass walls and swim outs, the equipment and operational elements have not seen anywhere near the same level of advancement. The IntelliFlo VS now closes the gap between design requirements and equipment capabilities. The IntelliFlo VS pump is a true variable speed pump, which enables it to perform multiple functions at maximum efficiency by matching the energy output with the required demands. Rather than using numerous pumps to meet each application, the IntelliFlo VS meets each flow requirement through the one pump. Unlike conventional or multi-speed pumps which run at a maximum of 2850RPM, the IntelliFlo VS has extensive speed settings available ranging from 400RPM to 3450RPM. The IntelliFlo VS reduces power consumption and costs by not only removing the need for multiple pumps on the one pool but by using power more efficiently. With a conventional single speed pump, only 42% of energy moved through the pump is actually used in moving water through the system. The other 58% is lost in wasted energy, predominately through lost heat. 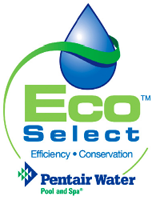 In comparison, the IntelliFlo VS effectively uses 82% of energy moving water through the system. Through using energy more efficiently the IntelliFlo VS not only reduces the running costs but also results in a longer pump life as it is placed under less pressure to produce the same amount of energy output. It is also important not to confuse the many multi-speed pumps on the market with the variable-speed features of the IntelliFlo VS pump. Multi-speed pumps have set speeds, which can not be varied depending on the required outcomes. However, with the IntelliFlo VS pump, you are able to set the speeds to the exact requirements for each piece of equipment, meaning that each application is working at maximum efficiency. The IntelliFlo VS can be changed by increments of 5RPM, making the smallest of changes possible. The pool will be cleaner and the water will be warmer and clearer as the in-floor cleaning, solar and sanitation systems perform to their maximum efficiency. And as each piece of equipment is not being exposed to excessive wear, they have a longer operating life. All of these energy savings mean that you can cut up to 90% of your pool portion off your utility bills, saving you hundreds of dollars per year and thousands over its life.